Home News Welcome to Intrepid English, Lida! Thank you, I’m excited to be here. 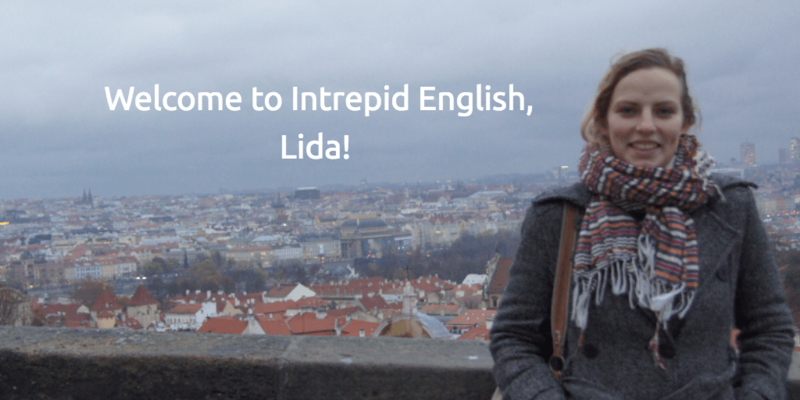 My name is Lida, I’m 28, and I’m originally from Prague in the Czech Republic. I grew up in a family where learning languages wasn’t a hobby or a school subject, it was a way of life. Both my mother and grandmother can speak eight languages, one day I’ll speak nine. When I was in high school I moved to California and then I studied linguistics at the University of Aberdeen in Scotland. I went travelling after my university degree, but I missed Scotland too much, and I’ve been living in Edinburgh since 2015. I love the challenge. I find languages fascinating, especially the ways in which our personality can change when we speak a different language. And of course, the excitement of using and understanding a foreign language is hard to beat. What’s the hardest thing about learning a language? Well this very much depends on the person. Speaking is usually the most difficult skill to master, followed by writing, listening, and reading. Confidence is also very important when it comes to using a language. I love seeing the ‘aha’ moment in my students’ eyes. And in general, seeing students improve can be very rewarding. Getting teenagers interested in English can sometimes be tiring and infuriating. But it’s also a lot of fun when I get through to them. At university I focused on accents and phonetics and I find this invaluable when I teach English. I like to work on speaking confidence and pronunciation as it can really improve your enjoyment from using the language. Have fun! Try to surround yourself with English wherever you can - even putting your phone into English can help you improve. And don’t be scared to use the language, native speakers are usually very appreciative of others trying to learn their language. You mention you went travelling but came back to Scotland, why? Is there anything else you’d like to say to our Intrepid English students? 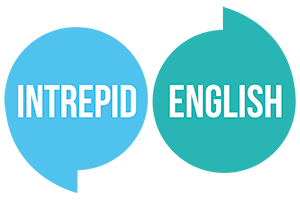 I am looking forward to working with the Intrepid English students and helping them to achieve their goals in English!